At Surplus Warehouse of Greenville, SC, we strive everyday to be your deep discount home improvement authority. With us you don’t have to wait for a sale to start your project we have the Guaranteed Lowest Price, so you can start whenever you want to. Once you select Surplus Warehouse of Greenville, SC, the on-line catalog will show what is in stock, as well as links to helpful articles about our products. If you have questions or need suggestions, our knowledgeable partners at Surplus Warehouse of Greenville, SC are willing to help you get what you need to start your project. A bathroom remodel is one of the best ways to help increase your home’s value and give you a relaxing retreat in your home. If you’re planning a home improvement upgrade in your bathroom, don’t forget to consider which shower unit you want to install. Find the Right Size: If the shower unit is too large, it will make your bathroom feel cramped and inefficient. On the other hand, if your unit is too small, you have empty space impacting how well your bathroom can function. Sizing is important, so measure your available space, and see if you only have room for a shower or a shower and tub combination. You also need to decide if you want a corner unit or something that fits flush against the wall or in an alcove. Once you determine what will fit best, you can create the bathroom you’ve always dreamed of. Consider Costs: For any home improvement project, it’s important to budget accordingly. Often, unforeseen setbacks come up and cut into your costs. There’s a range of pricing when it comes to shower units, enabling you to choose from stylish, budget-friendly options. Customize: You can customize your units with shelving, seats, and drain placement to ensure everything is to your liking. You can also choose fixtures and shower heads with the specific settings and sprays that meet your needs. Together, these customizations will provide you with a personalized shower experience. 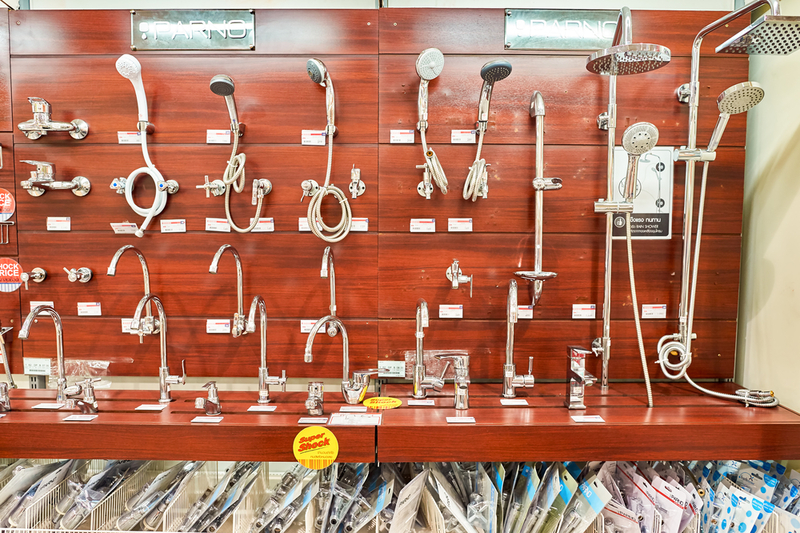 If you’re ready to take on a home improvement project and you’re upgrading your bathroom with a shower unit install, contact Surplus Warehouse today. Call (334) 673-5625 to speak with a member of the team. To see the selection of shower units, or for more on all building supplies, including, flooring and bathroom vanities, visit them online.